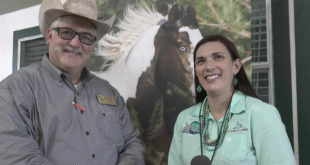 Missed the NRBC this year? 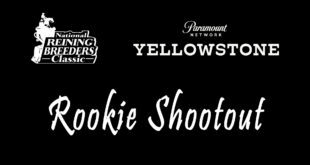 Check out the highlights from the 5 Yellowstone Rookie Shootout finalists! 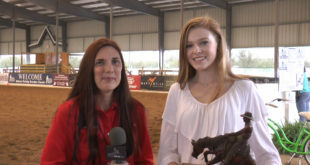 Emma Lane won the Curtis Burlin rotating trophy! Great job, Emma! 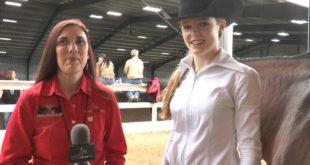 Madison Rafacz won the final slate of the Youth 13 & Under at the NRBC. Check out Madison’s interview! 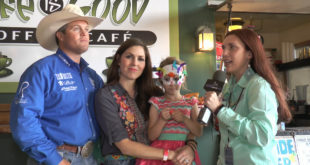 Faith Horner won the 13 & Under High Point Buckle! Great job for her first time showing in the 13 & Under. 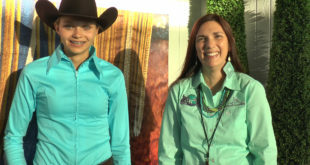 Dana Pastorino won the Green Reiner Level 2 at NRBC and the Green Reiner Level 2 High Point buckle! 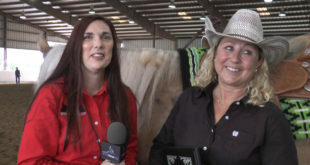 Pam Hinton and “Juicey” won the NRBC Rookie Shootout Consolation on the last day of the show. 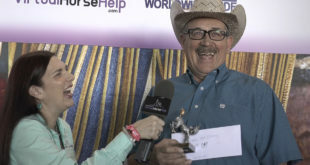 Stephen Archer won the Open and Intermediate Open in Sunday’s ancillary action. We caught up with Stephen and Carolyn Tellepsen, Bigly’s owner. Check out their interview! Emily Opell and Spooks N Reyn won the Level 2 Non Pro Classic Championship! Check out Emily’s interview! 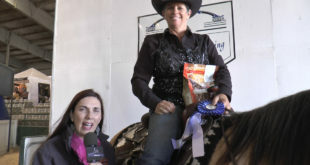 Robyn Schiller won the Intermediate Non Pro on Smart Like Steady after 5 weeks on the road! What a feat! 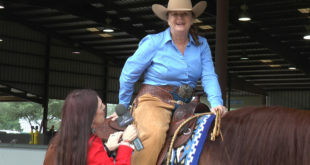 Hear what she has to say in this video. 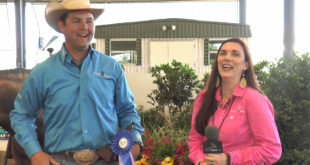 Greg Hall swept the Non Pro Classic Challenge plus the $5,000-Added Non Pro! 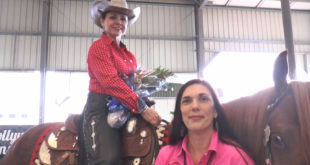 What a way to end a horse show! Spooks Gotta Whiz unofficially passed the $1 Million Sire Mark. 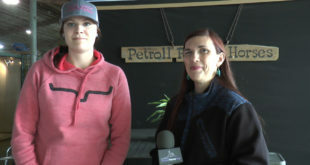 Owner, Michell Anne Kimball talks with us about what this milestone means for her. 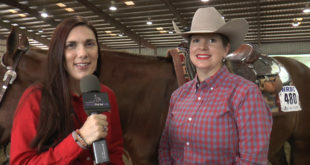 Kristi Clark & Jennifer Richards shared the Green Reiner Level 1 Championship at NRBC. Congrats ladies! 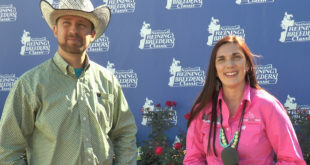 Andrea Fappani achieved the NRBC $1 Million Rider this year. 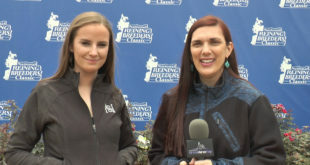 Check out the kind words Andrea has to say about the NRBC. 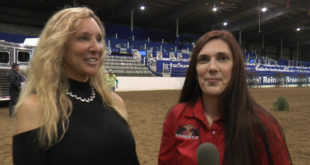 Jordan Larson won the first class in the USA Reining on Friday during the Open Reining Night. 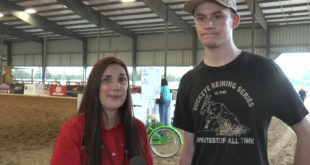 Check out Jordan’s interview. 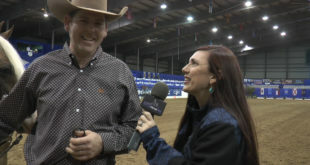 Chris Dawson and Shiney Outlaw earned the Co-Championship (3-ways) in the Open Classic Level 1! Check out Chris’ interview! 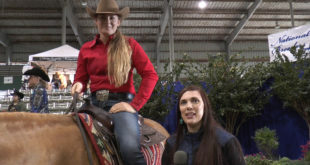 Native to Sweden, Felicia Linner will have an impressive souvenir to return with after she won the Novice Horse Non Pro Level 2 High Point Buckle! 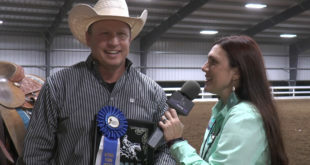 Benny Maddox earned the Co-Championship in the Open Classic Level 1. 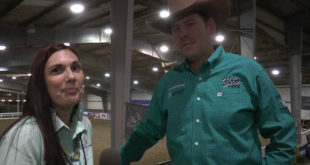 Check out Benny’s interview. Ricky Nicolazzi won the Open Classic Level 2. Check out Ricky’s interview! 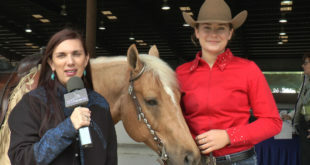 Jennifer Greenleaf and “Sugar” won the USA Reining Amateur at NRBC. We caught up with her to hear what she has to say about it! Gabriel Borges had a great run in the Open Classic finals, earning him a Co-Championship in the Level 1. 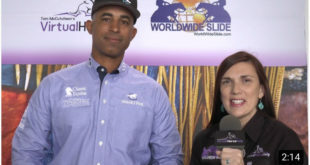 Check out Gabriel’s interview! 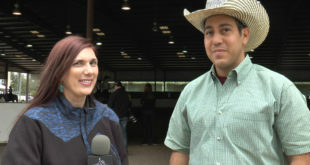 Pedro Baiao earned the NRBC Level 3 Open Championship title aboard Spooksgottachicolena for owners Michael & Joanne Garnett! 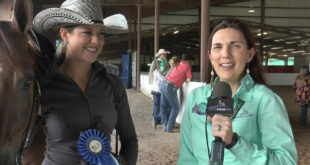 Emma Lane had a great day in the pen on Saturday, winning the NRHA Youth 14-18 and the USA Reining 14-18. 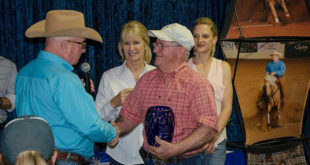 After enduring some tough competition, Duane Latimer emerged as the 2018 NRBC Open Classic Champion! Congratulations Duane! 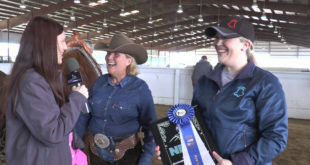 Shelda Magistri celebrated her first time ever to score a 70 and win a class after she won the NRBC Green Reiner Level 1 with her horse, “Kenny.” Watch her interview here! 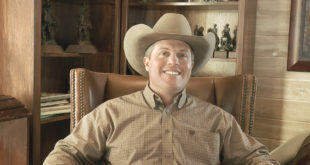 Justin “Gunny” Mathison won the Developing Horse Division at NRBC, and is enjoying an ample payout for it! Watch his interview here! 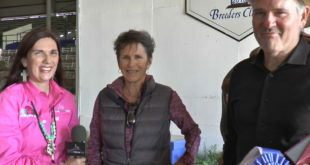 Dana Pastorino won the Green Reiner Level 2 in Saturday’s ancillary action. 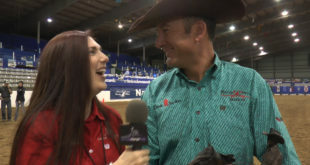 Check out Dana’s interview. 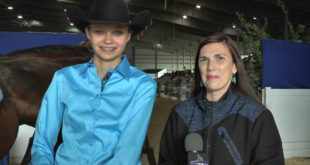 Chalyce Head earned Co-Champion in the Youth 14-18. 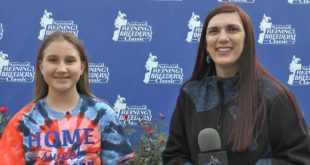 We caught up with this young lady to talk about her run and her horse. 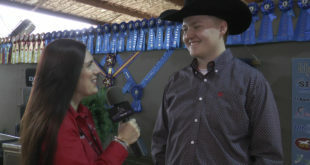 Cade McCutcheon won the USA Open Reining in today’s ancillary action. 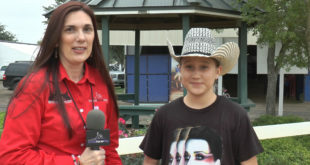 We caught up with Cade to talk about his run, horse and WEG plans. 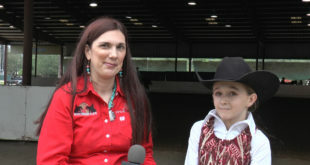 Ava Bush won the USA Reining 13 & Under in today’s ancillary action. Check out Ava’s interview! 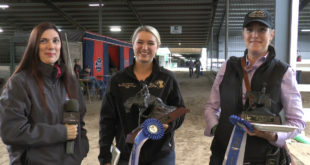 Jessicah Keller won the Non Pro and Intermediate Non Pro in today’s ancillary action. 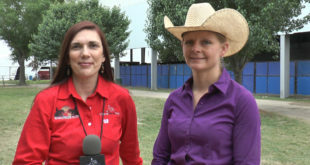 We caught up with Jessicah to discuss her run and her horse. Mark Rafacz won the Novice Horse Open Level 1 in today’s ancillary class. 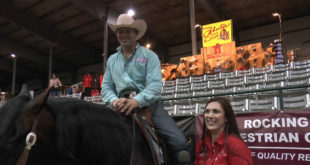 We caught up with Mark to talk about his run and the horse he rode. 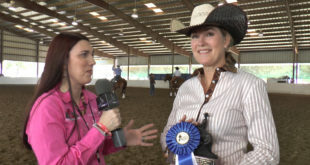 Becky Shelton won the Novice Horse Open Level 2. 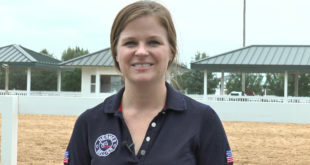 We caught up with Becky to talk about her run and her horse. 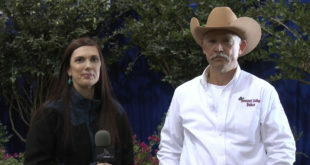 Magnum Chic Dream unofficially achieved the $5 Million Sire Milestone at the NRBC. 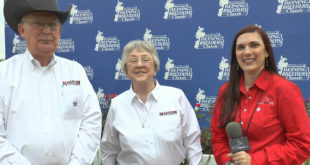 Owners, Jack and Viola Scott, were happy to talk with us about their stallion. 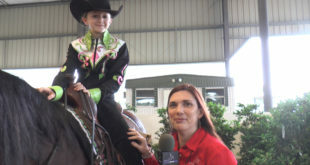 Becca Schaffhauser had a clean sweep in the 10 & Under Short Stirrup class, winning both slates and the high point buckle. 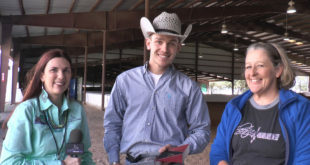 Yonathan Baruch won the AQHA Jr Reining in the ancillary action here at the NRBC. 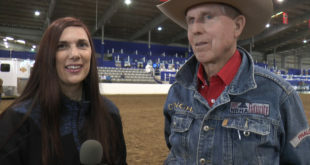 Jennifer Neudorf and Blue continued their reign by winning the Yellowstone Rookie Shootout in Friday’s evening action before the NRBC Open Reining Night presented by Kimmel Reining Horses. 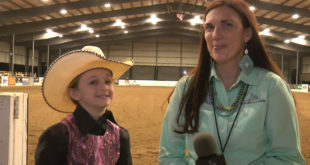 Faith Horner is 11 and Friday was her first time showing in the 13 & Under class. 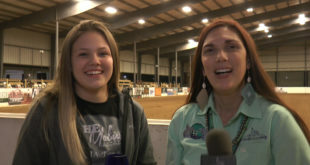 Faith talks about her run and her horse in this interview. 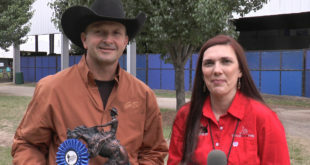 Dan Huss won the AQHA Senior Reining in the ancillary action at the NRBC. We caught up with Dan to talk about his run. 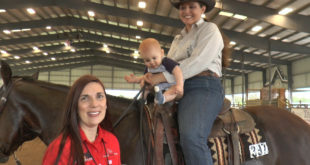 The future of reining is bright, and so is the future workforce from the sounds of it! 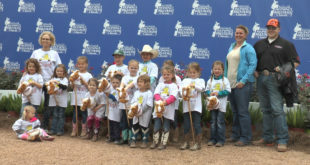 Watch our interviews with these future champions! 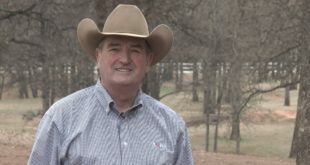 Dr. Jim Morgan tells us about his hard-earned journey to becoming an NRHA Million Dollar Rider! 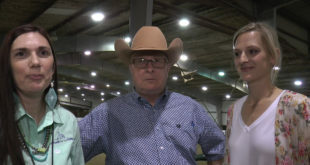 Emily Opell and HA Tears Of The Sun won the Unrestricted Youth at NRBC. Way to show girl! 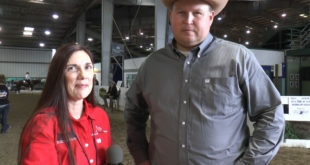 Jake Schueller with Equo talks with us about their sponsorship of the NRBC and coming on as the naming sponsor of the 3 CRI3*s held this year. 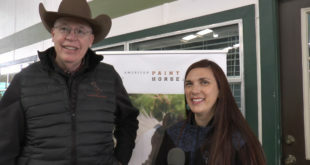 We asked some reiners while at the Tamarack Ranch Open Draw Party what their most embarrassing moments have been in the reining pen. Check out this fun video. 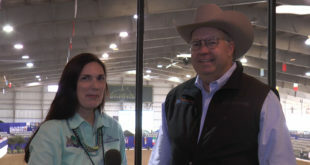 Chloe Lawrence and Frank Costantini with Markel Insurance talk with us about Markel’s sponsorship of the NRBC. Check out their interview! 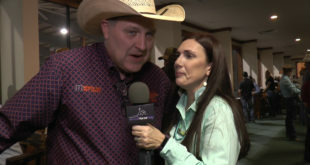 Todd Neiberger won the Prime Time Rookie in the second slate of classes and is moving on to the Yellowstone Rookie Shootout. Wonder where he took his wife for dinner…? 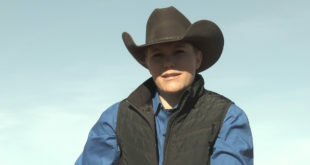 Jennifer Neudorf won the Rookie Level 2 in the first round of the Yellowstone Rookie Shootout. We caught up with Jennifer to talk about her run. 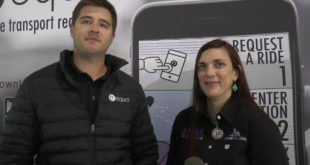 Check out Jennifer’s interview! 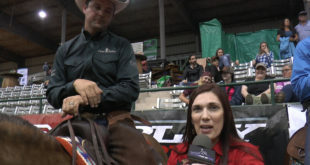 Glen Estival won the Rookie Pro High Point Buckle on Thatza Good Question (GQ) for owner, Janine Inmon. We caught up with the two of them to talk about GQ. 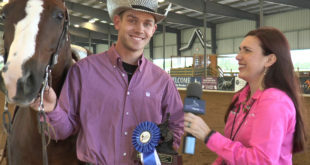 Ethan Willey won the Limited Open today and also won the High Point Buckle for the Limited Open. 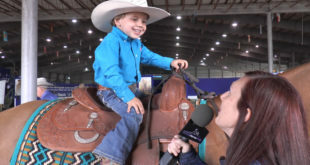 Check out Ethan’s interview. Sam Smith won the Novice Horse Open Levels 1 and 2 today. Check out Sam’s interview! 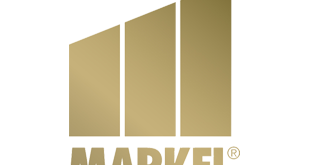 David Silva was awarded the Non Pro Commitment Award at the Markel Non Pro Draw Party by Frank Costantini. 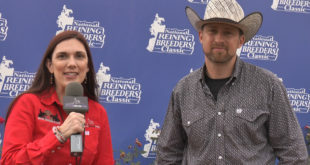 Casey and Nicole Deary are longtime NRBC sponsors. 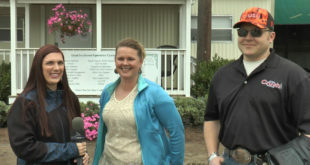 We caught up with them and their daughter, Joy, to talk about what keeps them coming back. 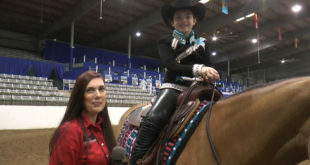 Elisabeth Bourassa came all the way from Canada to ride at the NRBC. Check out Elisabeth’s interview! 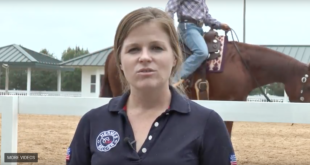 Bryn Wells, USEF Director of Reining, talks with us about the importance of getting involved with the youth programs. Check out Bryn’s video! 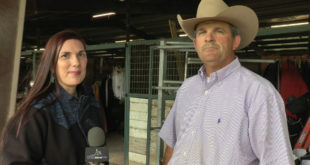 USEF Director of Reining Bryn Wells explains what will be discussed at the USEF Youth meeting held at NRBC by the Wheless arena at 9 a.m. 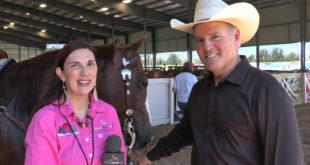 It takes an army to make a winning reining horse as Novice Horse Non Pro 1 & 2 Champion Morris Kulmer explains in his interview. Watch his interview here! 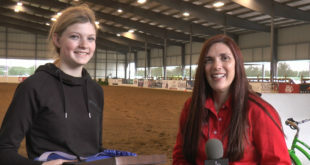 Madison Rafacz won the Rookie Level 1 in today’s ancillary action. 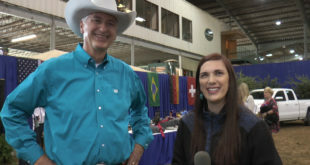 Check out Madison’s interview! 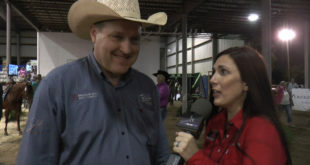 Chris Dawson day didn’t quite go as planned, but still included a win in the Limited Open at NRBC today. Watch this video to find out what happened! 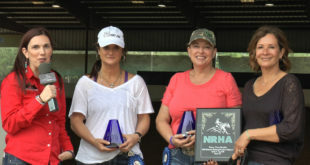 An emotional Mary Jane Scruggs accepted her awards for winning the Limited Non Pro in today’s ancillary action at her first ever NRBC! Watch her interview here! 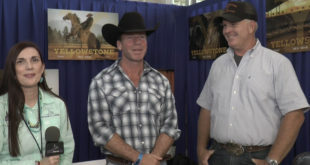 Taylor Sheridan and his trainer, Tom Foran, talk with us about the Yellowstone sponsorship of the rookie shootout. Check out Taylor’s interview! 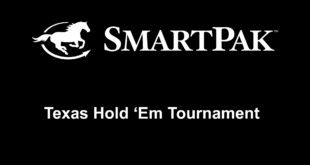 John McIlravey got down to just one chip when beginners luck took over and helped him win the SmartPak Texas Hold’Em Tournament here at NRBC. Incredible! Poker is all about strategy. This year, most players shared the same strategy. 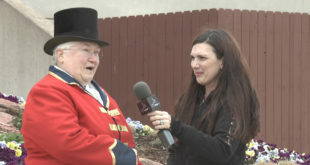 Check out these on-the-spot interviews. 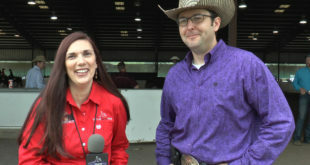 Casey Hinton highlights some of the Open Riders Meeting at the NRBC on April 15, 2018. Check out Casey’s video. 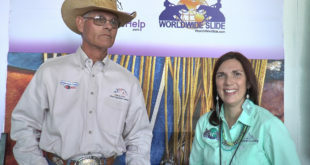 Ed Harrison is known as “The Global Cowboy.” This reiner is also a missionary. 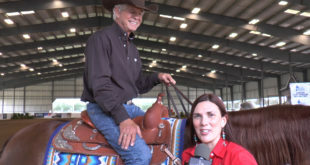 Check out Ed’s interview on how reining is tied to his missionary work. 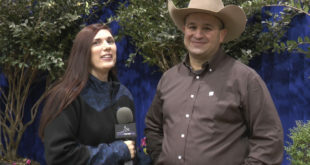 Pete Kyle talks with us about his favorite reining show. Check out Pete’s video! Vickie Friedeman, NRBC Trumpeter, has a message for NRBC. 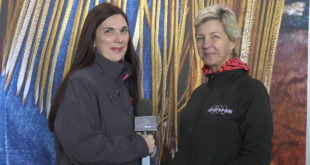 Check out Vickie’s video! 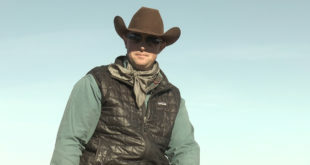 Casey Deary rounds out his training videos with us with his reining start. Check out Casey’s video! 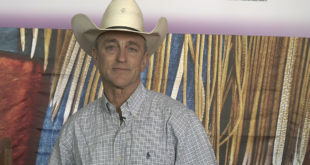 Casey Deary talks with us about his family life growing up. Check out Casey’s video! 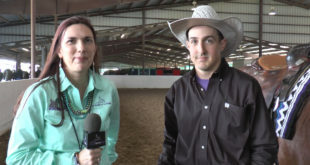 Josh Tishman talks with us about his reining start. Check out Josh’s informative video! 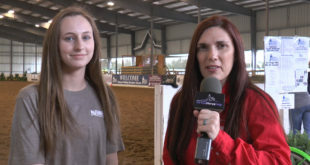 Abby Lengel talks with us about her reining start in this latest get to know the trainers video. Check out Abby’s last video for this section.